Today is the day! It's Tokyo Tokyo National Tempura Day! 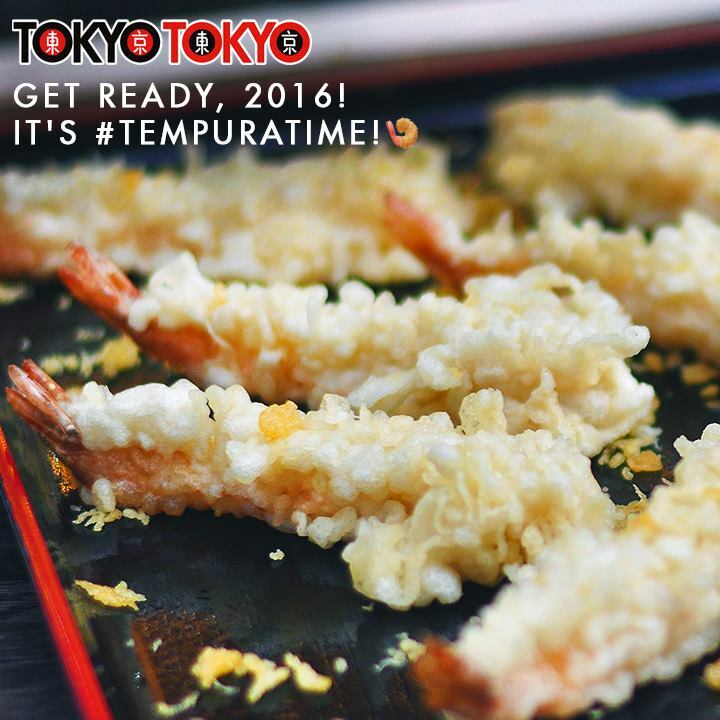 Satisfy your cravings and join Tokyo Tokyo for the first ever ‪#‎NationalTempuraDay‬ celebration today, January 7! Feast on your favorite shrimp, breaded with love and fried to perfection. They are slashing 50% off the price on your favorite Prawn Tempura Add-Ons! So go ahead and enjoy ‪#‎TempuraTime‬ only at Tokyo Tokyo, All-day, today! Offer for all Tokyo Tokyo branches nationwide.